Can you avoid touching your smartphone for 10 minutes? Congratulations, you just provided a glass of water to children in need. Want to try how long you can stay off your smartphone? You’ll be surprised to how long that 10 minutes begins to feel just after 3 minutes of getting anxious to stupidly swipe around your phone’s glass screen for no reason. (FYI… I couldn’t go past 6 minutes without checking my phone accidentally). Aside from quenching thirst, this campaign also proves how enslaved society has become to technology. Go give it a try on your phone and share in the comments how long you were able to abstain from technology. 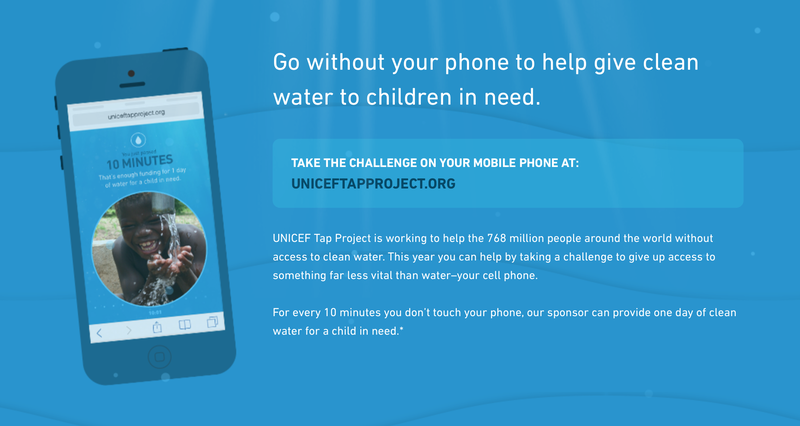 This campaign is a brilliant way to increase exposure of UNICEF’s projects to provide sustainable and clean water sources to regions in need. 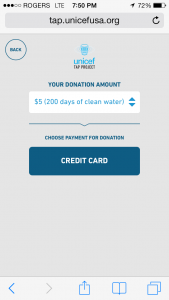 It even prompts you with a page to donate to the campaign after you find out your results.